Are you finding that your old patterns are no longer working for you? Struggling to redefine your life? Are you feed up with wearing pants with elastic (metaphorically or literally) because you don’t have time to take care of yourself first? Sure, elastic pants are comfortable. Like life, they don’t require you to change because you can shift up and down with weight without anyone noticing. They always fit. But you know that you wear them. And that you hide in those pants. I do too. What do I wish to accomplish this year? To me this is the year of hope. Hope that I can redefine my goals, establish a better course of direction for my life, and find more time for me. Lofty goals, but I am worth it. And so are you. Now, I bet your were expecting the old, how have you become more green this year post from me. But what I have realized this year, is there is too much noise out there perhaps to fully talk about how we can become better caretakers of the Earth when we need to become better caretakers of ourselves. It all starts with us first. Many over the last year have had to redefine their way of life because of job layoffs, reduction in pay, or illness. Some people have changed their lives looking to be more caretakers of the Earth. They realized that their footprint was heavier than they wanted it to be. Both these changes share a common thread, although it seems like they are so different. Their lives have changed which eventually made them realize what is important to them. Perhaps, bringing an inner peace or simplicity to their lives that has not been there for a very long time. I too am struggling, but have hope. Green Talk is now a young child. It is almost four years old. Just has its own personality separate from me with its own destined direction. I am at a crossroad with my career and Green Talk. Do I focus more on my sustainability consulting? Do I open up a green store and sell the wares that I openly review and use? Do I brand myself more? Start actively speaking at events? Do I break Green Talk apart with a business and home editions? Do I guest post more to seek new members to the Green Talk community? Start a food company to sell my raspberry and strawberry jams that I haven’t made yet? (Still frozen in the old freezer.) Or sells the abundant food that I create but can’t eat it all? I know I am not alone in the conquest to redefine myself. Perhaps, you feel the same way. Maybe it is to lose weight, change your career, change your lifestyle, get out of a not working relationship, or move to another part of the country? A couple of years ago, I attended a green conference at FDU in New Jersey and saw so many thirty through sixty somethings embracing the green movement and trying to redefine their careers to align their beliefs with their work lives. One of the most popular workshop was where people had to envision their lives by cutting out magazine pictures and placing them on a poster board. I think it is called creating a vision board? The workshop was so packed that you could barely move. I watched the people in the workshop from a distance and was amazed at the energy they displayed in trying earnestly to figure out where their life road could take them. Do you feel you are lost in the sense of expansion or redefining yourself? If so, how have you dealt with this struggle? I know this may be a hard concept to think about right now since the economy has taken such a toll on so many people. But I ask, what really matters? Over the year, I have noticed my own gardening posts have been the happiest articles for me to write. Don’t get me wrong. I still love green building and spent the New Year’s Day oh-ing and ahhing over my friend’s recent installs of some pretty swanky boilers. (Different strokes for different folks.) And I don’t want to give up on my reviews or my interviews. I love this part of Green Talk. But as I was saying about the garden, when I talk about it, I light up. I can’t wait to show everyone what I harvested from it. As I have said in a previous post, I am the little green hen. The one who grows, harvests, mills, and bakes the bread. When I am in the garden, there is an inner peace that I feel. The sun beats upon my cheek, the bees hum around me, and the wind gently blows the plants as they sway back in forth. It sometimes is very surreal. Now, I am not going to sit here and tell you the garden is this easy peezy bundle of joy. It is a lot of work, but a labor of love. Kind of like raising children. Frustrating, exasperating, exhausting, and rewarding all in the same time. But the bottom line. The garden is my inner peace in a world that I find too demanding, moves too fast, and without a real sense of belonging. A place where we are connected by electronics not face to face anymore. And most of all, lacks in feeling. Who truly lives as if each day is our last? Have you felt this way as well? What has become your inner sanctum? What Old Chains do we want to be free of? As I am writing this article, I can’t help to laugh at myself since I have so many “I want to dos.” At the same time, in the last three years, I have gained ten pounds since I sit so much in front of my computer. Sometimes way too late at night that I forgot what the morning sunshine looks like. So, consequently, I am eating four meals a day. There is my morning, lunch, dinner, and 2 am small meal. I stopped exercising as much and my routine at the gym is so ’80’s minus the shoulder pads. When all of your clothes really don’t fit anymore, except the ones with elastic, you have to start a new plan. This last month, I decided to start exercising 5 times a week for my own sanity, and went to three sets in my weights instead of two half hearted sets. Are you suffering from the same problem? Find more time to have fun. Life just seems to keep passing me by. Do you feel you never see your friends enough? You never get to read that amazing book? Take that trip that you want to do? Again, I know I am not the only one feeling this way. At a recent meeting, I listened to a group of people express how there wasn’t enough time in the day to do what they had to do at work. They looked harried and unhappy. I couldn’t imagine what their home life must be like. In turn, I felt so sad for them. Was this treadmill, their destiny? Do you feel like you are on that same treadmill? Take it from someone who had young children and in a blink of an eye, two are in college. A blink. Faster than a speeding bullet. Unfortunately, I can’t shed any light on this subject except the realization that I too struggle with this dilemma as well. I am a work in process but I know that simplicity has to be the key. Simplicity in the demands I make upon myself and simplicity in what I decide to take on. Does it have to be perfect? How about you? What do you want to change for 2011? 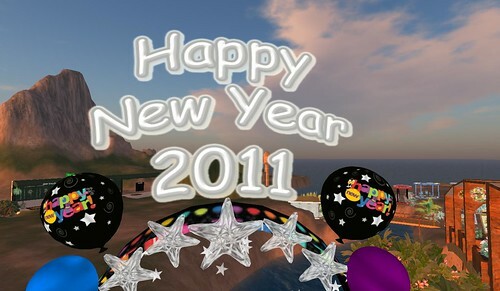 Do you have hopes for 2011 or do you see more struggles? Are the elastic pants no longer working for you? Updated 4/5/14. Seem like this post as applicable to today as it did when I wrote it. So, I changed the title to make it an evergreen article. The journey of life is always evolving.